Proper lighting is one of the most important factors when setting up your cam space. 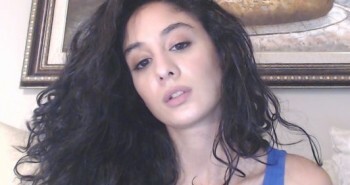 The correct lighting will not only eliminate annoying and unflattering shadows, but it will also greatly improve the overall appearance of your cam stream. If your room is too dark, your video may appear grainy or just not as sharp. If the lighting is too bright in your room, it could change your skin color and make you looked washed out. 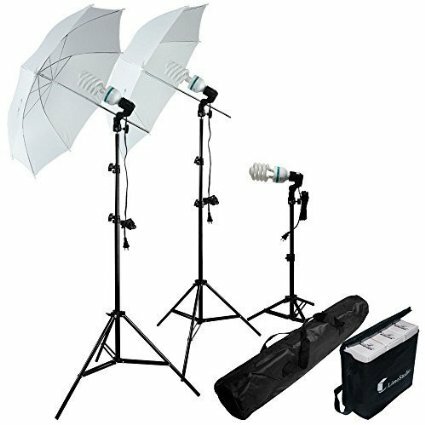 Amazon offers many options for inexpensive, but professional lighting equipment. For best results, you’ll want three separate lighting sources. The first light you’ll want to set up in front of you, behind your webcam, pointed at you. You may have to adjust the height to reduce glare, but generally setting it up about the same height as yourself will be perfect. The next two lights should be on either side of you, but still in front of you. Again, adjusting them to be about the same height as yourself should work well. Some tinkering may be needed to get it just right. Play around with it until your illuminated without any shadows, shiny spots, or glare. Don’t make the mistake of setting up a light behind you. Not only will it show up on cam, but it may actually darken your stream. If you’re still unsure of how to set up your lights, check out our visual guide at the end of this article. 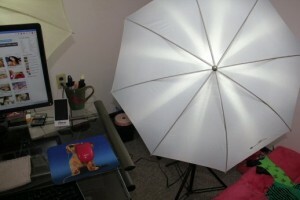 If you can’t afford professional lighting right off the bat, don’t worry. Regular lights work well too. If you have floor lamps that are around the same height as you, definitely use those. If you have shorter lamps, put them on tables on either side of you if possible. You can also play around with different bulb shades to see what looks best. Some bulbs will give off a blueish, natural glow, while others will have a yellowish tint to them. Hanging up colorful light strands can be a fun way to add character to your room. Icicle lights dangling from the ceiling behind you is a nice touch. Or attaching Christmas lights around the frame of your bed or couch looks cool too. You can even get light strands with your favorite characters on them: Hello Kitty, Star Wars characters, etc. 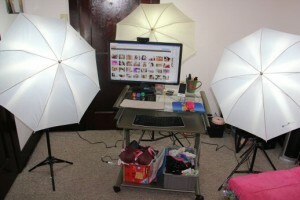 This first image shows an overview of how you will want to set your lights up in your cam room. One light directly in front of you, behind your webcam and two lights on either side of you, pointed at you, placed in front of you. Your main light will be set up behind your webcam, directly in front of you. You’ll want to position it at about your same height for best results. 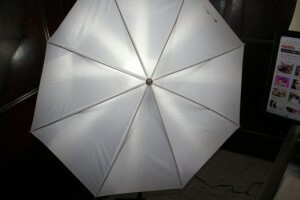 Your second light should be placed on the left hand side of you, but still in front of you. Make sure it’s pointed at you and at the same height as you. Your final light should be on the right hand side of you, but still in front of you. Again, make sure it’s pointed at you and at the same height as you. This last picture is a POV shot of what your setup should look like. Notice the three light sources, all pointed at you: one in front, one to the left of you, and one to your right.